Strengthening Hair Treatment revitalises and restores dry, damaged, permed or colour treated hair to a soft, silky condition. 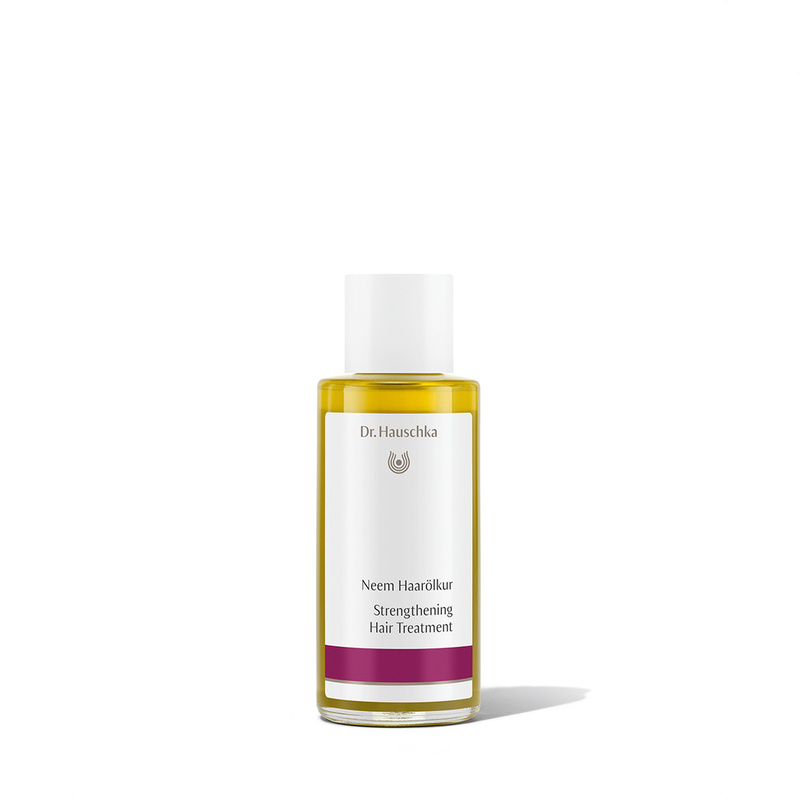 This intensive hair treatment renews and strengthens hair follicles while calming the scalp. Hair becomes healthy, shiny and more manageable. Formulation: Neem leaf extract strengthens keratin, fortifying, softening and renewing damaged, brittle hair while chamomile extract soothes and balances the scalp. Rosemary essential oil enlivens, supporting healthy hair follicles. Massage through the hair and scalp with fingertips. Cover hair with a towel to keep warm and allow to penetrate the hair for 20 minutes. Shampoo and rinse. For dry or brittle hair, distribute a small amount of Strengthening Hair Treatment to the hair tips and do not rinse.